WOMEN have always been the focus when it comes to the issue of gender-based violence, and rightly so, as statistics show they are almost always the victims, but there is another perspective that is often overlooked: men have also been victims of violence and abuse at some point in their lives. 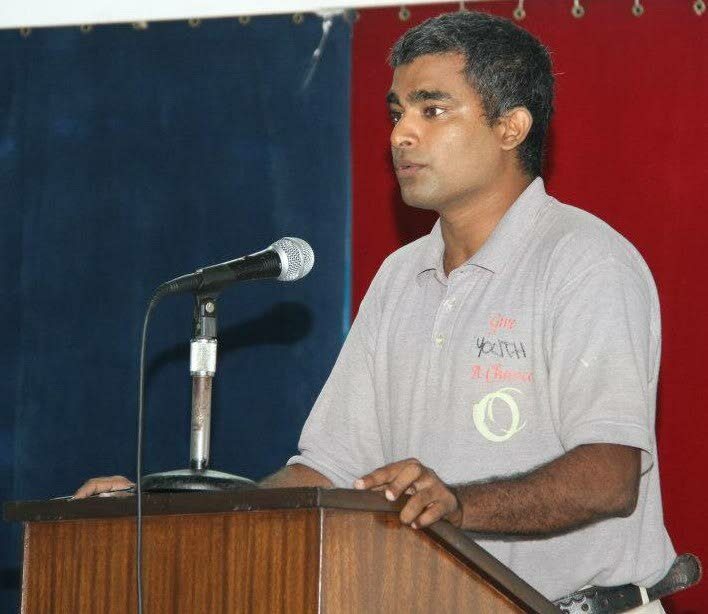 Independent activist Ravi Lutchman, is working to raise awareness and increase discussion on how men are positioned in this issue of gender-based violence in TT. Lutchman, who has been involved in several community-based activities for over a decade, believes that if a closer look is taken at the issue of men also being victims of violence, then an impact can be made on changing what he described as a culture of violence. “I am acknowledging and accepting that men are by and large the perpetrators of gender-based violence against women, but again, sometimes we feel that the only approach is a punitive approach – and I’m not saying that doesn’t have its place in the scheme of things in trying to address the problem. But sometimes we have to understand where the behaviour stems from.” He said violence is a learned behaviour and behaviour is learnt through vicarious experiences, as well as direct experiences. Lutchman said TT has been nurturing a culture of violence that starts at a very young age; when adults interact with children at home, at schools and within the communities. A man who experienced his father beating him or his mother at some point in his life may it is OK to behave like that. “Those behaviours are ingrained in the very fabric of that man’s personality and psyche and resorting to punitive punishment will not always produce a change,” he said. The solution, he said, is a reengineering behaviour change so men understand how the behaviour is wrong and what changes need to be made so he can appreciate acceptable and correct interaction with women. He said a visit to the Maximum Security Prison earlier this year to observe a project that used sports for behaviour modification allowed him to talk to some of the men there and their stories were the same. But current systems in place for abused children – student social services and guidance officers – are very strained and insufficient. And because it is sparse, the rehabilitation that needs to happen with young boys doesn’t happen and even the social intervention at the community level to treat with men who perpetrate violence is insufficient. This has to be dealt with at the top and the bottom. This, should not only be about punishing men but helping them acknowledge what their issues are and helping them through the process of making change through the neutral created spaces in the communities. Lutchman said, culturally women have done a better job at creating spaces to receive counselling and emotional support as victims of violence. He said although there are programmes at the community level more needs to be done long-term. “I’m not saying 40 or 50 years. But three to five years. Maybe even ten years. To get the results we are seeking. I think too many programmes are created for political expediency – just to say that we did something and not really understanding that this type of violent culture we have didn’t happen overnight. But, if we want to transform that culture it will take time. But intervention has to include neutral spaces where men and women collectively engage. He said he has seen change and rehabilitation take place in programmes before so he knows that the right interventions can work. Lutchman said the issue didn’t happen overnight so it won’t disappear overnight. Reply to "Changing the culture of violence"